The Vector Institute is pleased to announce five new Vector Faculty Members, expanding Vector’s faculty to include researchers cross-appointed at Canadian universities and institutions all the way from UBC in the west to Dalhousie in the east and several in between. The new faculty bring to Vector expertise in machine learning, computational biology, computer vision, computer graphics, neural networks, clustering, computer security, privacy and statistical and computational machine learning. With these new additions, the Vector Institute has now tripled the size of its founding faculty since March 2017. Shai earned his PhD in mathematics from the Hebrew University in Jerusalem and was a professor at Technion (Israel Institute of Technology). He has also held visiting faculty positions around the world, and has been a professor at the David R. Cheriton School of Computer Science at University of Waterloo since 2004. His research interests include a range of topics in computational statistics, machine learning theory, and unsupervised learning and clustering. Sara Mostafavi is an Assistant Professor at the Department of Statistics and the Department of Medical Genetics, and an affiliate member of the Department of Computer Science, at the University of British Columbia (UBC). She received her PhD in Computer Science from the University of Toronto in 2011, working with Quaid Morris, a Vector Faculty Member, and completed her postdoctoral fellowship at Stanford University. Sara’s research interests are in the development and application of machine learning and statistical methods to study the genomics of complex diseases, particularly psychiatric disorders. Nicolas will be joining the Department of Electrical & Computer Engineering (ECE) at the University of Toronto as an Assistant Professor in Fall 2019. He is currently a research scientist at Google Brain working on the security and privacy of machine learning in Úlfar Erlingsson’s group. 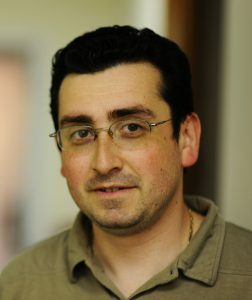 Nicolas’s research interests span the areas of computer security, privacy and machine learning. Leonid moved from Carnegie Mellon University and Disney Research in Pittsburgh to Vancouver in 2017 to join UBC as an Associate Professor in the Department of Computer Science. His research interests are in machine learning and computer vision with a focus on object recognition, scene understanding, action recognition, multi-modal learning and neural networks. Bo Wang, Peter Munk Cardiac Centre (PMCC) and the Techna Institute at the University Health Network (UHN), and Faculty of Medicine at University of Toronto. 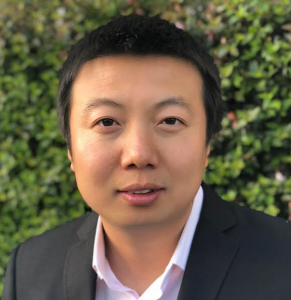 Having recently completed his PhD at Stanford, Bo will serve as the Lead Artificial Intelligence Scientist co-hired by PMCC and the Vector Institute. Bo will lead the development and integration of new machine-learning approaches into the care of patients with heart and vascular diseases. With highly diverse backgrounds and research strengths from Canadian and international institutions and labs, Vector’s new faculty will join a vibrant community of innovative problem solvers, working across disciplines on both pure and applied research. Since its launch in 2017, the Vector Institute has grown into a community of more than 240 researchers, including faculty, postdocs, students and affiliates. Over the last year, they have published more than 100 papers, many featured in top machine learning conferences and journals. Vector researchers often receive top awards for their scientific contributions and have been named as top innovators on Canada’s Top 40 Under 40 list and by MIT Technology Review. Together, they are working to achieve Vector’s vision to drive excellence and leadership in Canada’s knowledge, creation, and use of AI to foster economic growth and improve the lives of Canadians. Over the past year and half, leading scientists from Canada and around the world have chosen Vector as their destination to perform cutting-edge machine learning research, train the next generation of talent, and empower our industry and health sector partners to become leaders in the adoption of AI. As Research Director, I’m proud of what we’ve accomplished. It is my priority to continue building a talented and collaborative team. We have a lot of work ahead. With increasing demand, and global companies threatening to drain our talent, it is critical to maintain a pipeline of talent to continue strengthening machine learning research and contributing to the knowledge economy in Canada. Vector has become a beacon for top AI talent seeking opportunities to collaborate with peers, to have the flexibility to conduct pure or applied research, teach students, or work with industry, as well as launch a new start-up company. Vector offers a unique structure that bridges academia, industry, and institutions and presents researchers with opportunities to work with existing data sets to solve real-world challenges. The new Vector Faculty Members announced today will join a highly-accomplished team of world-class researchers currently at Vector Institute, and we are excited to see what they will accomplish together. 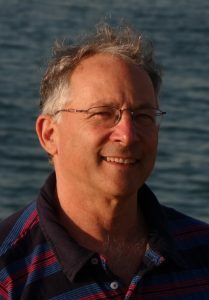 Shai Ben-David earned his PhD in mathematics from the Hebrew University in Jerusalem and has been a professor of computer science at Technion (Israel Institute of Technology). Over the years, he has held visiting faculty positions at the Australian National University, Cornell University, ETH Zurich, TTI Chicago, and the Simons institute at Berkeley. Shai has been a professor at the David R. Cheriton School of Computer Science at the University of Waterloo since 2004. He has also been an area chair and senior program committee member for the International Conference on Machine Learning (ICML) and the Neural Information Processing Systems Conference (NeurIPS). Shai’s research interests span a range of topics in computer science theory including logic, theory of distributed computation, and complexity theory. In recent years, his focus turned to machine learning theory. Among his notable contributions in that field are pioneering steps in the analysis of domain adaptation, learnability of real valued functions, and change detection in streaming data. Shai has made fundamental contributions in the domain of unsupervised learning to the theory of clustering and developing tools for guiding users in picking algorithms to match their domain needs. He has also published seminal works on average case complexity, competitive analysis, and alternatives to worst-case complexity. President of the Association for Computational Learning Theory (2009-2012). Program chair for the major machine learning theory conferences (COLT and ALT, and area chair for ICML, NeurIPS and AISTATS). Co-authored the textbook “Understanding Machine Learning: from Theory to Algorithms”. Sara Mostafavi is an Assistant Professor at the Department of Statistics and the Department of Medical Genetics, and an affiliate member of the Department of Computer Science, at the University of British Columbia (UBC). She received her PhD in Computer Science from the University of Toronto in 2011, working with Quaid Morris, a Vector Faculty Member, and completed her postdoctoral fellowship at Stanford University. 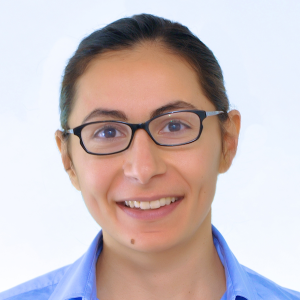 Sara’s research interests include developing and applying machine learning and statistical methods to study the genomics of complex diseases, particularly psychiatric disorders. Her research group is specifically interested in developing models for combining association evidence across multiple types of genomic data, such as gene expression and genotype data, and modeling prior biological pathways and networks for disentangling spurious from meaningful correlations. Nicolas Papernot will join the Department of Electrical & Computer Engineering (ECE) at the University of Toronto as an Assistant Professor in Fall 2019. He is currently a research scientist at Google Brain working on the security and privacy of machine learning in Úlfar Erlingsson’s group. Nicolas received his PhD in Computer Science and Engineering at the Pennsylvania State University, working with Prof. Patrick McDaniel and supported by a Google PhD Fellowship in Security. Prior to that, he received an M.S. and B.S. in Engineering Sciences from the Ecole Centrale de Lyon. He serves on the program committees of several conferences, including CCS, PETS and USENIX Security. He is also the Chair of the NeurIPS 2018 Workshop on Security in Machine Learning. Nicolas’s research interests span the areas of computer security, privacy, and machine learning. Together with his collaborators, he demonstrated the first practical black-box attacks against deep neural networks. 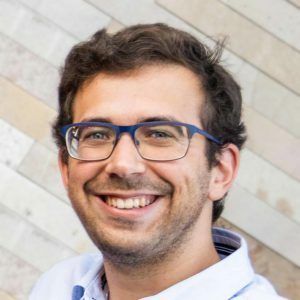 His work on differential privacy for machine learning, involving the development of a family of algorithms called Private Aggregation of Teacher Ensembles (PATE), has made it easy for machine learning researchers to contribute to differential privacy research. He also co-authored with Ian Goodfellow an open-source library called CleverHans, now widely adopted in the technical community to benchmark machine learning in adversarial settings. Leonid Sigal is an Associate Professor in the Department of Computer Science at the University of British Columbia since 2017. Prior to that, he was a Senior Research Scientist at Disney Research Pittsburgh and an Adjunct Faculty member at Carnegie Mellon University. He received his PhD in Computer Science from Brown University and completed a postdoctoral fellowship at the University of Toronto. Leonid also serves as Scientific Advisor for Borealis AI. Leonid’s research interests are primarily in computer vision, machine learning, and computer graphics. His research focuses on problems of visual and multi-modal (visual, textural, auditory) understanding and reasoning, including object recognition, scene understanding, articulated motion capture, action recognition, representation learning, manifold learning, transfer learning, character and cloth animation. Bo Wang obtained his PhD from the Department of Computer Science at Stanford University in 2017. His PhD work covers statistical methods for solving problems in computational biology with an emphasis on integrative cancer analysis and single-cell analysis. Bo has extensive research experiences in many leading organizations such as Sick Kids, Illumina, and Genentech. He regularly publishes at leading machine learning conferences such as the conference for Computer Vision and Pattern Recognition (CVPR) and Neural Information Processing Systems Conference (NeurIPS) and has multiple first-authored papers in world-renowned journals such as Nature Methods and Nature Communications. Bo’s primary research areas are machine learning, computational biology, and computer vision. Through his long-term research goals, Bo aims to develop integrative and interpretable machine learning algorithms that can help clinicians with predictive models and decision support to tailor patients’ care to their unique clinical and genomic traits. In addition to being appointed as a Vector Faculty Member, Bo will hold the role of Lead Artificial Intelligence Scientist at the Peter Munk Cardiac Centre at the University Health Network (UHN) and the Techna Institute. Bo’s primary focus in this role will be to build and lead the AI team in developing new machine-learning approaches and integrating them into the care of patients with heart and vascular diseases. Bo is also a faculty of medicine at University of Toronto.